We’re not exactly lacking in youthful, carefree music. Sometimes it seems as though every other album is a celebration of adventurous twentysomethings — and Brooklyn-based Chappo’s debut certainly fits this category. Sleek, glam, and unashamed, Chappo are like the indie cousin of Neon Trees. On Moonwater, the psych-rockers offer a collection of expansive tracks that largely evoke the fast-paced bliss of being young. The songs on Moonwater range from catchy and upbeat to dark and syncopated, yet neither extreme seems out of place. Edgy, pulsing tracks like “Hell No” provide a welcome contrast to the delicious, commercial hooks of “Come Home.” Moonwater is a solid effort, and it’s packed with tracks just dying to be used in a Subaru commercial. 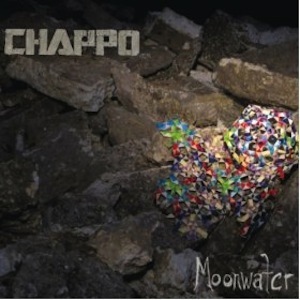 Unfortunately, Chappo do not stray far from their synth-pop roots and the result is less than memorable. Moonwater might be up-tempo and fun, but it’s never surprising. In the end, though, its ’80s influence and addicting beats are more than enough to surpass a lack of innovation. So get in the car, turn up the volume, and enjoy 54 minutes of youthful bliss. Just don’t expect it to change your life.